The horrors of war are well known; they’ve been disseminated through top of the day news, harrowing firsthand accounts, battlefield reenactments and demonstrating the immense power of the medium, in the moving pictures and soaring scores of films. Most maintain, or at least attempt to preserve historical accuracy in the bravery & brutality of conflict though as is common in the movie business these are scrapped in lieu of dramatic narratives, romantic plot points and modern social & political influence often resulting in rampant revisionism. When it comes fantasy, science fiction and especially horror, most of these are tossed out the proverbial window or work to find a balancing act between fact & fiction; Julius Avery’s “Overlord” falls somewhere in between; it’s harrowing, intense and completely over the top action-packed fun. War horror is nothing new with its own small but dedicated subgenre (“Deathwatch,” “Outpost,” “Frankenstein’s Army” – hell, even “Dog Soldiers” counts among the comrades) or the shellshock exemplified by classics like “Deathdream,” “The Keep,” “Ravenous” and “Jacob’s Ladder” but “Overlord” may be the biggest, boldest blockbuster attempt at bringing the demonic frontlines to the big screen. To say more is a spoil is due only the viewer/victor and while it’s obvious something inhuman is occurring inside the church the Nazi radio tower is housed in to match the evil outside, it’s origin as scientific, supernatural or a blend of both is better left unsaid and the bulk of the fun. While “Overlord” is not connected to the “Cloverfield” universe as many of producer JJ Abrams’ acolytes had hopes for, “Overlord” has more than enough sci-fi horror sparks to satiate any of that franchises diehards and then some. Hell, there’s so much balls out insanity here, I can see fans of properties diverse as “Hellboy,” The Punisher,” and “Wolfenstein” having lots of fun. Screenwriter Billy Ray (whose penned less than stellar features like “Volcano” and “Color of Night” and could-have-been-great titles like “Flightplan” and “Secret In The Eyes”) delivers a serviceable script that’s punched up immensely by the trio of powerhouse performances by the heroic Joyan Adepo, the intense Wyatt Russel with a Busey like tinge of rubber faced madness and the classic villain Palou Asbaek who chews dialogue with a serial flare. A salute to the great Bokeem Woodbine is in order who much like his turn in “Spider-Man: Homecoming” is a standout here despite being so limited; he makes every moment on screen count and deserves more big budget vehicles to showcase his prowess. 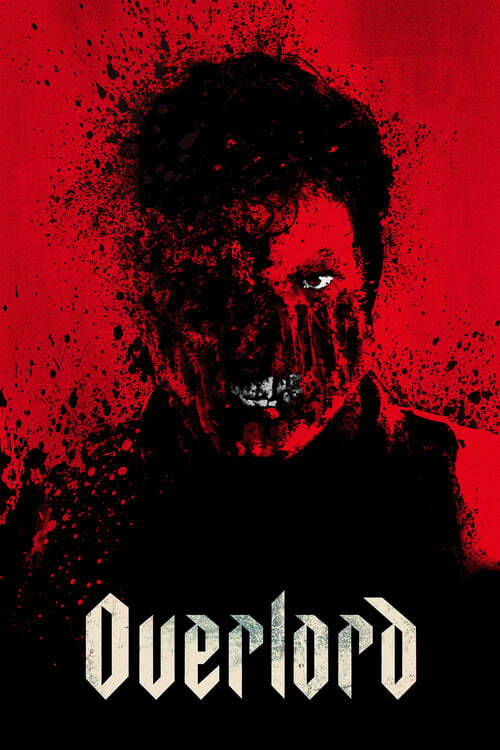 For those who have an appetite for gore, wartime or otherwise “Overlord” may be the bloodliest studio film of the year, save for possibly the incredible “Upgrade.” Not only are there ample amounts of blood, guts and assorted human chum, there are more than a few on screen moments that have a Cronenberg like level of body horror that caused many audience members to recoil in disgust which should be the only endorsement needed…so if the opportunity for an IMAX screening arises, it is your duty to pay the surcharge. There’s an “Inglorious Bastards” level of Nazi killing which is always a plus but truly the legacy of “Overlord” may be that it’s the closest to a cinematic adaptation of the landmark “Wolfenstein” one is likely to see. “Overlord” is war horror for both the mainstream that can stomach it enough to celebrate it and the diehard fans in the foxhole that have been championing this niche genre for many on screen engagements. It is unlikely to have the tickertape heavy box office homecoming the studio desires but it’s ability to act adeptly as a live-action precode comic, revisionist war drama and big budget B movie speaks volume of its talent and valor that hopefully will have many others ready to re-enlist….